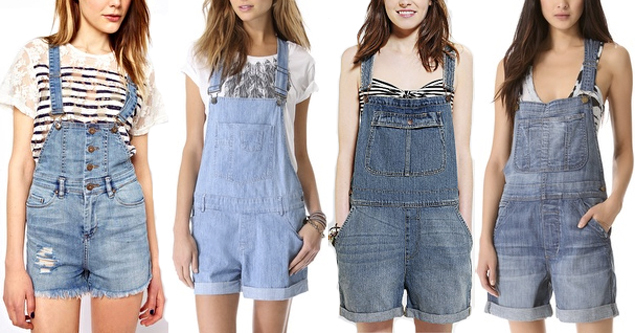 As you may recall, I wasn’t particularly pleased when the whole “overalls” trend popped up this past fall. It just seemed like such an unflattering and unladylike look for about, oh… 98.9% of the population. But then something funny happened. Trendsetting celebrities and stylish city girls put a positive spin on the formerly dowdy denim dungarees. For some reason, I find the short version far less offensive than its full leg counterpart. Dare I even call it cute? So, I guess you could say my cold heart has melted… or it could just be this miserable mid-July heatwave, but you be the judge. Once a wizard of Waverly Place, Selena Gomez has ditched her Disney darling act as most recently showcased in the raunchy film, Spring Breakers. Sure she caught a temporary case of Bieber fever, but it seems Ms. Gomez is growing up and moving on. It’s alright, girl. We’ve all made mistakes. If we looked back at at my boyfriend at twenty, I’d be a little red faced too. Along with her dating and career choices, her style is also evolving and with her glossy locks, long legs, and girl next door (in your dreams) looks, she’s setting herself up to be a real red carpet darling. Not one to shy away from a bikini or midriff baring top (clearly, she spent two hours on the big screen in not much else), Gomez has captured the perfect mix between young woman and youthful age appropriateness- unlike some of her tween trainwreck graduates. 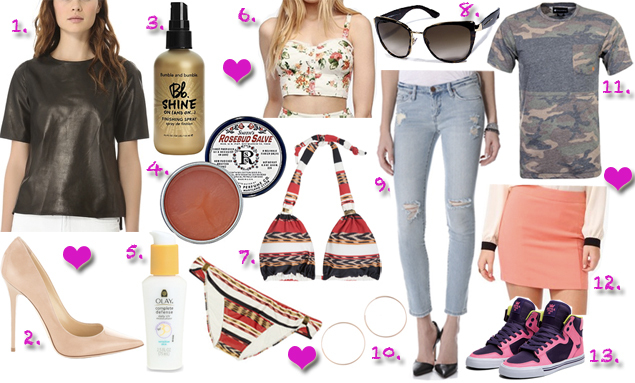 To get Gomez’s enviable style, grab some key pieces below and start doing some sit ups, like right now. I actually went back and forth a couple of times before finally deciding on my best dressed for this year’s Oscar Awards. All season long, I’ve been asking the ladies of Hollywood to “bring it” and in the words of a real cinematic gem, Bring It On, “It’s already been broughten!” So, I guess it’s safe to say that the starlets of the big screen were just keeping their heavy artillery under wraps until tonight. Much like their careers, no one wants to peak too early. While I did go ahead and pick my top three ensembles, there are so many more that deserve a bit of airtime. After all, it’s just an honor to be nominated, right? Stacy Kiebler wowed in a dress shinier than beau, George Clooney’s, beard, Kerry Washionton popped in a perfect coral red, and Naomi Watts shined in an all over sequin asymmetrical frock. Blues were still in heavy rotation, but a new pastel trend emerged as a favorite. 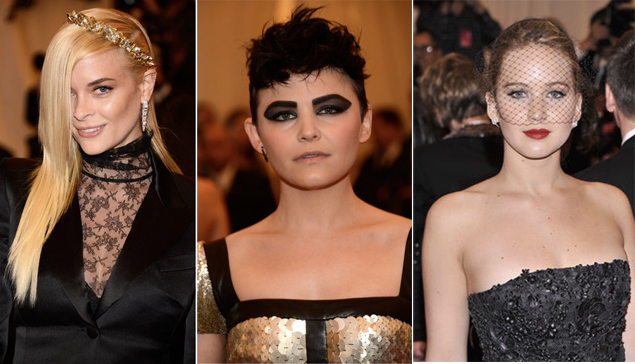 Thankfully, far less black was worn than at previous award shows, but when it was, the dresses were embellished so beautifully that the gowns were anything but basic. And as always, there was plenty of shimmer to light up the red carpet. We all had high hopes for Jennifer Anniston’s return to the red carpet, but I was less than impressed with a lackluster version of Jennifer Lawrence’s Golden Globes gown and typical Rachel blowout. Anne Hathaway may have won big with Le Mis, but her pink Prada was ill fitting and nearly as awkward as her red carpet interviews. I’m not sure why Olivia Munn was even there (was Magic Mike nominated? ), but she and her mess of a dress would have been better off staying at home. Win or lose though, one thing’s for sure, I wanna be Jane Fonda when I grow up.